Ghana international Andre Ayew has said that he is determined to win the African Cup of Nations with the national side in the summer. The West African nation have not won the silverware since 1982 but they have made progress to the final of the competition in the 2010 and 2015 editions in Angola and Equatorial Guinea respectively. Speaking to Footy Ghana, Ayew acknowledged that the players and country are keen on winning the African Cup of nations and he is optimistic of doing so at the summer tournament in Egypt, he said: “Everybody wants the trophy; the players want the trophy, the country wants it. I think we are going to do everything we can. But the Afcon is far; [from] now, there is time. 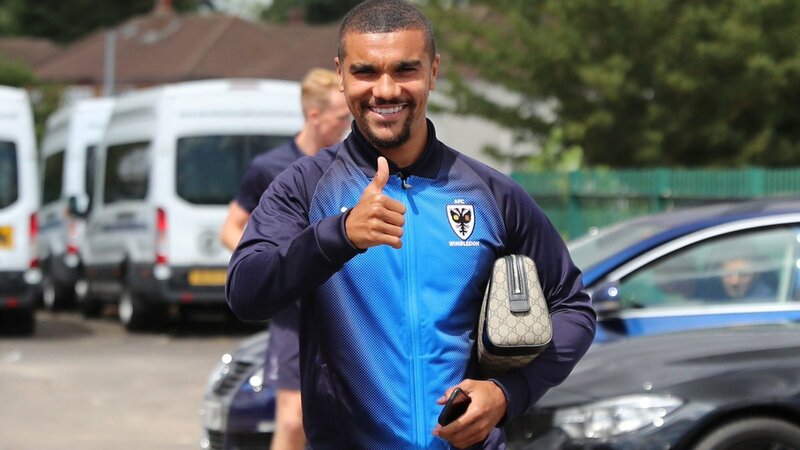 Ghana manager James Kwesi Appiah claimed that the likelihood of recalling Kevin Prince Boetang is still open for the national team. Regarded as one of the enigmas for Ghanaian football, Kevin Prince Boetang has been unable to satisfy the immense talent at his disposal and he has become something of a journeyman. He was a regular for the national team before being taken out of the squad in 2014. He has been placed under indefinite suspension for his verbal assault at the coach during the 2014 FIFA World Cup. The 31-year-old was found guilty along with Sulley Muntari. It has been reported that only an apology from the player would result in a recall to the national team. Ghana coachKwesi Appiah claims that Senegal and Nigeria have the potential to be a surprise package at the World Cup. Unlike in the last few editions of the World Cup, African teams are not the strongest this year’s tournament. This is due to a mixed run of form for teams like Nigeria. Egypt, Tunisia, and Morocco are the other representatives from this continent. The group stages have produced a mixed draw for the African teams; Senegal are in a group containing Japan, Colombia, and Poland. Meanwhile, Nigeria are up against the likes of Iceland and Argentina in the group matches. A major absentee from the World Cup is Ghana, who have been a steady force when it comes to major international competitions throughout the world. However, there has been an alarming dip in the quality of the Ghanaian national team and this resulted in the team failed to qualify for the World Cup 2018 in Russia. If Ghana had reached the tournament, they would have created a record of reaching the World Cup in succession as they were a strong presence at the 2014 World Cup in Brazil. Back then,Kwesi Appiah became the first local coach to help the national team reach the finals of the competition. African football powerhouse Ghana have named four former national team stars in a technical team to help the current crop of players. The team is to be led by KwesiAppiah and it includes Ibrahim Tanko, Richard Kingston, Stephen Appiah and Maxwell Konadu. They are all set to join the backroom staff. A Ghanaian KwesiNyantakyi is now the second most powerful figure in African football, according to latest reports. Nyantakyi is the president of the Ghana Football Association. At the first meeting of Confederation of African Football (CAF) Executive Committee, he was named the second in command to the president Ahmad. Former Chelsea and West Ham United manager Avram Grant decided to step down from his role as the Ghana national team coach after a disappointing African Cup of Nations. The failure to even secure a third place finish at the tournament – after a 1-0 loss against Burkina Faso in the third place play-off – has led to this exit for the Israeli coach. This has left in Ghana with the needed to appoint a new manager, but the national team clearly has a lot of time left on their hands. The next match for Ghana is not until June when they take on Ethiopia in an Africa Cup of Nations qualifier. After a lot of speculation about his future, Avram Grant finally decided to step down from his role as the Ghana manager after a disappointing 2017 African Cup of Nations. This tournament was seen as the ultimatum for the manager, who has been criticised in various quarters for his tactical knowledge and the ability to set up the team. Even though the first African Cup of Nations headed on by the former Chelsea and West Ham manager was relatively successful, Ghana were left disappointed at the 2017 edition after being knocked out at the semi-finals by Cameroon. Ghana coach Avram Grant has come under fire of late due to poor run of form, which has left the team in major doubt of doing well at the 2017 African Cup of Nations. As the tournament fast approaches, it is understood that Grant will be holding discussions with the management committee in order to decide the squad for the upcoming tournament and also to agree upon the preparations. The Ghana FA have requestedGrant to fly down from the United Kingdom in order to hold this meeting. African football giant Ghana has placed third in the ongoing Women’s African Cup of Nations after defeating South Africa in the third place match. Ghana would be happy with the consolation despite the slim margin victory over South Africa in the game played on Friday. Coach Yussif Basigi started goalkeeper Patricia Mantey, midfielder Mary Essiful, and forward Florence Dadson for the first time in the tournament. His South African counterpart named goalkeeper Andile Dlamini, Andisiwe Mgcoyi, Germaine Seoposenwe, and Refiloe Jane in his starting squad as they hoped for a bronze medal after losing to Nigeria in the semi finals. 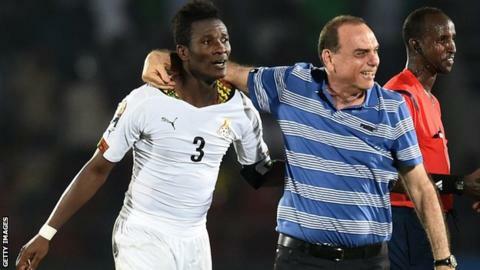 Ghana’s struggles under manager Avram Grant is threatening to destroy the World Cup 2018 hopes. After a 0-0 draw against Uganda in the opening match, the national team is under severe pressure to get a victory in the upcoming match against Egypt. It will be one of the difficulties for Ghana, who are already in a tough group that includes the likes of Congo. Ghana will be entering into the game against Egypt as the underdogs due to their recent form. Grant has failed to get a victory in the last four games – a run that also includes a loss against Russia in a friendly.